23,693 others viewed this post. Thackeray was the last name of the guy who noticed these little dark patches in 1950. If you look closely at the biggest dark patch you might see it’s actually two – one further away in the distance. 1 light year in fact. To give you an idea, the Voyager satellite which has just left our solar system will take about 25,000 years to have travelled 1 light year. That one dark blob (which is two) you’re looking at, is separated by that much! 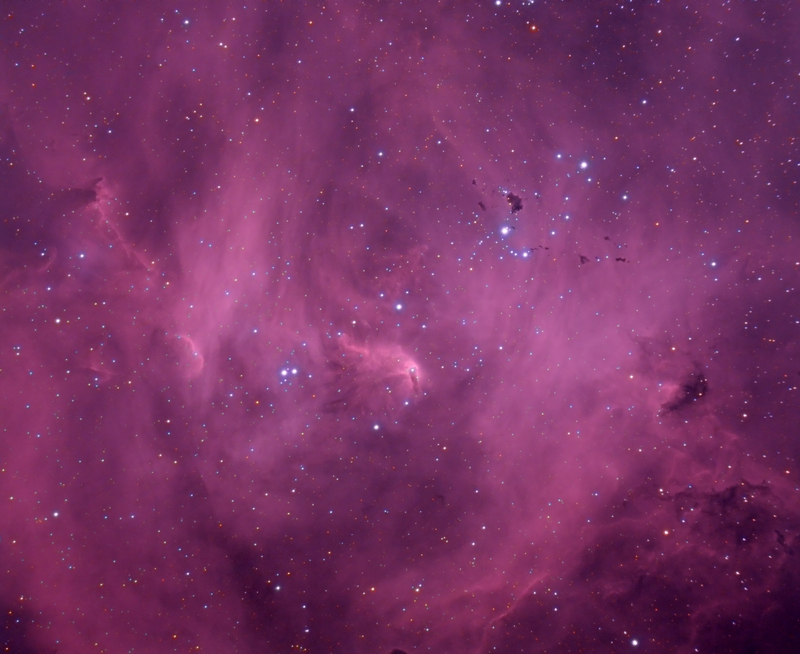 45 x 2m exposures taken tonight in Ha (90 mins total) + 30mins of RGB from RASA session a few weeks ago. Pretty quick and dirty! The trade-off are the colour halos on the RGB layer which has to be upsampled to match the Ha resolution during registration. But it’s a small sacrifice to turn around an image like this with only 2 hours total integration. The lepus focal reducer causes some minor coma on one edge.